5.1 Package consisting of 2 pairs of KEF Reference 1s with 2 pairs of matching Reference 1 speaker stands coupled with the Reference Sub and Reference Centre speaker. Earn 19495 loyalty points when you order this item. KEF Reference 1 are the bookshelf model of the Reference range and proves that you don't need a large cabinet to enjoy expansive, premium-quality sound. This high end 5.1 package is a relatively more affordable way to incorporate KEF's Reference audio performance in to your surround sound and is ideal for smaller rooms. 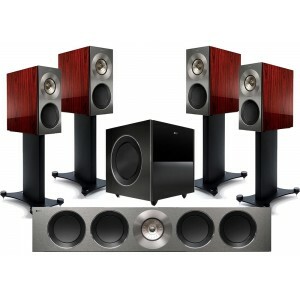 The package consists of 2 pairs of KEF Reference 1 bookshelf speakers with 2 pairs of matching speaker stands, KEF Reference Subwoofer and the KEF Reference Centre speaker. It is available in 3 finishes; Deep Piano Black, Luxury Gloss Rosewood or Satin American Walnut. For more info, view our main KEF Reference 1 page. 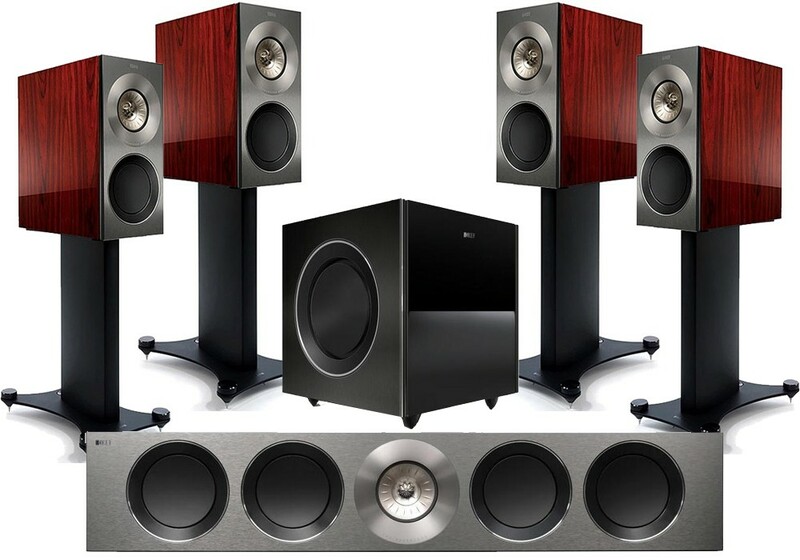 For more info, view our main KEF Reference 1 Stands page. For more info, view our main KEF Reference Subwoofer page. For more info, view our main KEF Reference Centre page. We can also customise this package to include, for example, on wall speakers for the rear channels (ideally something from KEF's THX on wall range) and/or ceiling speakers for 7.1 or Atmos set-up, in addition to other options. Please call 0844 50 403 50 to discuss your options or e-mail us with your requirements (and phone number) and we'll come back to you with our considered advice.